And we’re back to Crouch End. As you can probably tell, this is my local area. About two years ago the high street had a bit of a café boom with a number of new places opening in a very short period of time. Among these was My Kind of Coffee, which has its own little roaster in the store. It’s positioned on a street that was once the ‘dull’ area of Crouch End but is now full of new cafes, delis and, hopefully soon, a new cinema. Is this my kind of place? For a place with such a bold name, this really needed to deliver. And it does. A large, spicy coffee with notes of cinnamon and chocolate. 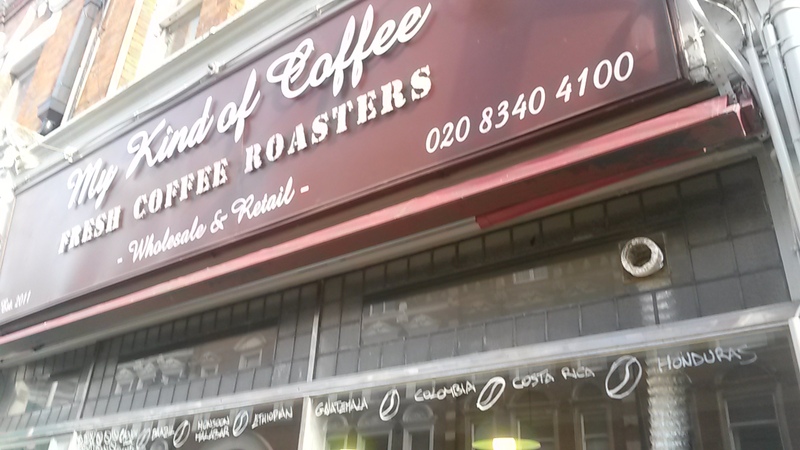 This place is all about the coffee, from its in store roaster to its own Crouch End blend and a variety of other coffees for sale, these guys know their stuff. The house blend, used for cappuccinos, comes from Brazil, Costa Rica and Vietnam. This is the one area that this place has always struggled with. Before its revamp, it was filled with huge, ugly, Union Jack covered arms chairs. Since then it has improved but still feels a bit sterile. There’s too much going on here from a bare wood bench in one corner, to multicoloured chairs around dark wood tables and striped walls. The lighting is bright at the front by the window but as you get further back it gets dark. My seating was lit solely by the bright light from the deli counter. 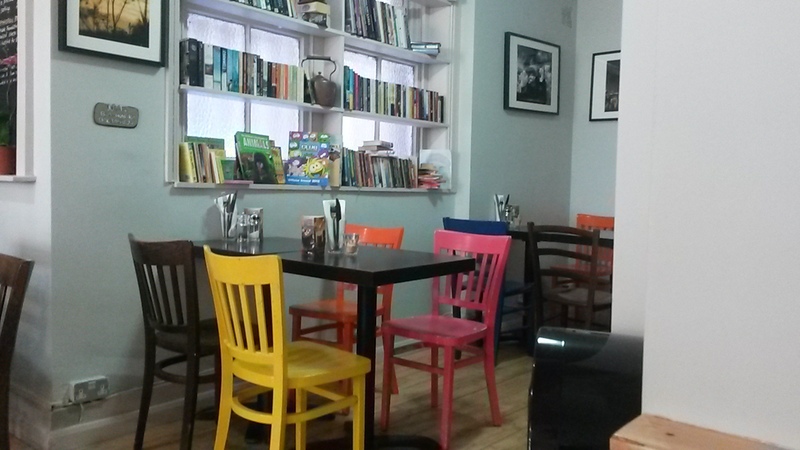 Still, it is clean and comfortable and is one of the larger cafes in Crouch End, which is not saying much. A big deli counter serves sandwiches and salads and there are is the usual baked goods and confectionaries. The website boasts of its Eggs Benedict and hot salt beef sandwiches. Good service here. Friendly and fast I even got asked whether I enjoyed my coffee as I left. The guys who worked their seemed interested in their customers, which you need to be in such saturated market. It is all about the coffee here. 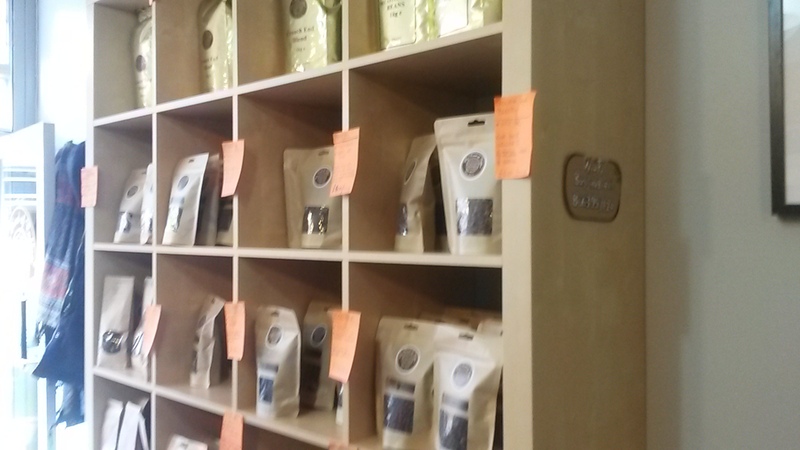 They do sell some excellent bags of the stuff, including Jamaican Blue Mountain. There were also a few books for sale and some art. 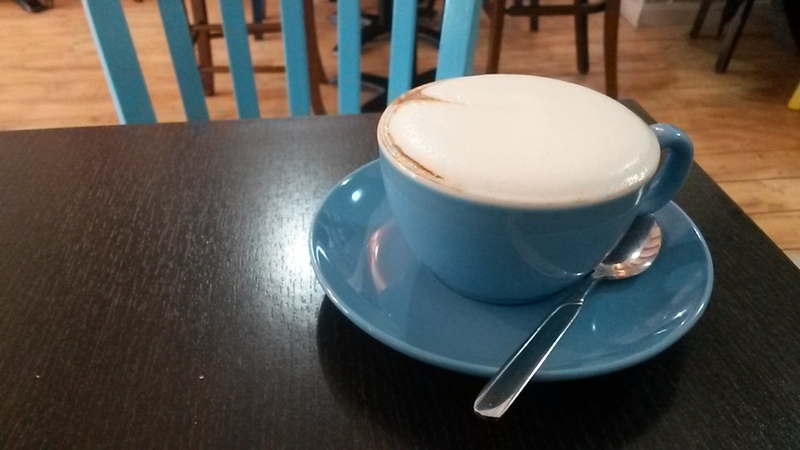 While it serves a great cup and has made the effort in revamping its interior, it still needs a certain something inside to make it a great café. Though I might be visiting more often to buy my coffee by the bag.